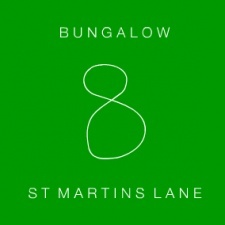 Housed inside the glass box that is the fashionable St Martin's Lane Hotel, Bungalow 8 is exclusively members only. Regularly frequented by celebrities, the atmosphere doesnt get kicking until the early hours. With a good mix of 60's, 70's, 80's, 90's and modern music, top name DJs can always be found in the venue. The vast array of drinks and elegant cocktails are well made ensuring that the intimate space invites an eclectic mix of people and remains a party hotspot. Perfect your robot dance; this club fuses the most hi-tech technology with a fun-fueled dance floor. A ‘rock 'n' regal’ interior draws out the party gene in even the most retiring visitor. The Embargos that was associated with Chelsea teenagers has had a Cuban makeover and is now Embargo 59, pulling back the same crowd, who are thankfully now a little older and wiser.